The air transport industry has grown strongly, using what are now legacy technologies. But cost can be reduced using modern web-based messaging technology. In addition, service features will increase significantly. The air transport industry is a complex industry where no company has a complete end-to-end delivery system. Every company works with business partners to support the movement of aircraft, passengers, cargo, and maintenance support across the globe. The requirement to work with business partners creates a need for communication about the flights, their loads and maintenance status. Obviously, this communication needs to be standardised, flexible, and machine-automated to speed up processing time and reduce cost of operations. The chosen technology for executing intercompany communication has been IATA Type B airline messaging since the 1960s. This technology offers a simple protocol that is applied globally and accepted by nearly all companies in the airline industry. It also offers a very large set of standardised message formats that are used to communicate about almost everything – from seat bookings to airline load sheets and cargo air waybills to messages describing the onload of a flight before it lands at the airport. 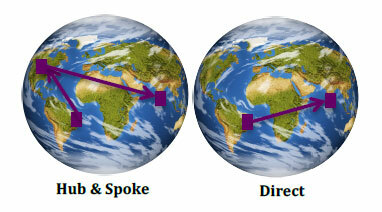 This means that messaging is used to exchange information about the shared processes across the airline industry. It is used when airlines are putting seats up for sale with their business partners, it is used to control the process of ordering and executing cargo transportation, it supports the execution of flights, it is used to communicate information about cargo and passengers to the relevant authorities, and it is used to coordinate the overall journey of passengers and cargo from arrival at the airport to final arrival/delivery, and so on and so forth. With IATA forecasting strong growth in passenger and cargo volumes it seems reasonable to assume that messaging traffic is set to continue its impressive growth in the coming years. The increase in messaging clearly comes from supporting the creation of value for the airlines. It allows for increased coordination, reducing handling and turn-around times while allowing marketing and sales people to sell more and accurately adjust the prices to the demand curve. The successful communication about flights, passengers, and cargo allows industry participants to continuously increase efficiency when business partners share needed information, allowing ontime preparation and speedy execution of the required processes. As a side note this shared global infrastructure was envied by other industries and so industries like the banking and the car industry have copied the idea and built shared messaging and infrastructure standards to support collaboration inside their industries. This has helped them to grow in manufacturing numbers and advance product design while keeping total cost under control. Because messaging supports processes and creates value, companies in the airline industry can benefit from enhanced messaging; for example, passenger airlines marketing departments can increase revenues and profits by managing the price curve of seats more accurately, allowing them to find a better balance between sales prices and the number of seats sold on each flight. Equally, forwarders and handlers could increase sending of receipts to acknowledge they have acted on information received. And the list goes on in terms of activities that would benefit from an increased level of information; hence the dramatic growth of Type B messaging. However, the exchange of information through Type B is often held back because messaging provided by legacy networks is expensive; messaging costs are often prohibitive and users avoid increasing traffic volumes. Today’s air transport messaging is based on the Telex technology that was initially introduced in the 1930s. When airlines started to expand in the 1950s they were looking for a technology that would help them communicate across the globe - and Telex was the answer that was set in motion by SITA and ARINC. The consequence of this is that the technology that providers are using today is an evolvement of the original network structure built on Telex. 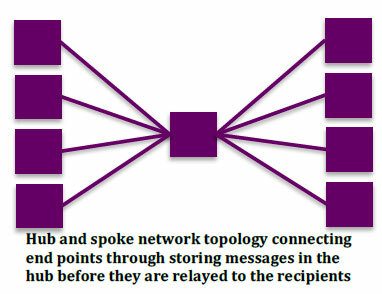 And while the technology to transport the data has been upgraded to IP, the structure of sending all messages to central distribution point hasn’t been modernized: still using a store-andforward technique that effectively disconnects the sender from the receiver and makes all Type B users dependent on a few central network centres that the existing Type B service providers have built. Keeping a legacy Type B network structure has both operational and financial consequences. 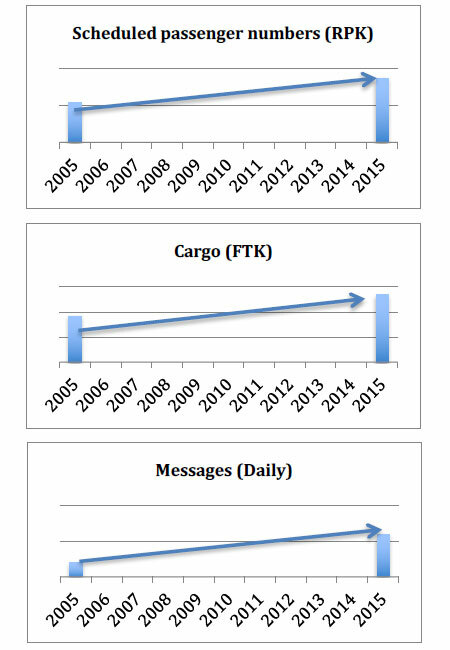 However, the evolvement of the Type B infrastructure has had a limited impact on the pricing of Type B message transportation. The price models still depend on counting the length of each message and calculating the price based on addresses and where these are located – as can be studied for those who have access to the standard pricing models for Type B. This leads to complicated operations and billing systems. And a slow decrease in the lowering of the price levels. On the operational level the development of Type B services has failed to reap the benefits of modern Internet based technologies. When the need for Type B, and Type A, traffic started to soar in the late 1970s and the 1980s, the only cost effective way of doing messaging was to collect the messages in central distribution centres for redistribution. The cost of networks and connections prevented that there could be network connectivity between any two air transport partners. And consequently, there were no messaging standards that would support such messaging networks either. But today it is no longer necessary to maintain central operational centres that need to store and forward messages. With the evolvement of ubiquitous access to the Internet, a modern messaging infrastructure can drastically reduce the complexity of technology, removing the need for storing and forwarding messages centrally, as well as the need to invest in costly redundancy of data centres to assure 24/7/365 business continuity. And because a customer can connect cost effectively to Internet anywhere in the world, there is no need to support private networks either. The inherent infrastructure of the Internet means that it may be slower at times but it can never effectively break down. Network up-time will be very close to 100% when a user maintains two separate Internet network connections into two independent Internet providers. 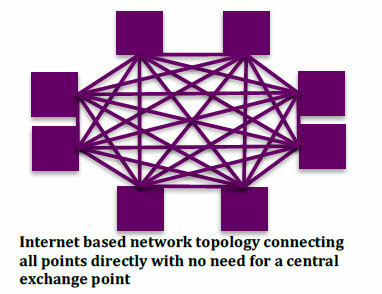 The Internet-based messaging network topology dramatically reduces the cost of building a global Type B messaging network. Likewise, the absence of a need for a central network hub reduces cost of running a global Type B messaging network. The simplification of the technology elements involved also means an increase in the transmission effectiveness, security, and traceability of the individual message. The reduced travel path leverages effectiveness. Messages do not need to travel to a central point to be redistributed. This improvement in effectiveness reduces the message transmission times to just milliseconds. Security is increased through encryption that is simpler to deploy in an Internet network topology using modern software technology. Finally, traceability is improved as well as made available instantly to the sender and receiver of each individual message. In summary, the use of modern internet-based message transmission lowers cost of development and operation while increasing service and feature levels significantly. This is what the future looks like for airline messaging, such as Type B. And the future is here now. The described new technology referred to as ‘EDIfly’ is used today on all 5 continents supporting operations of airlines, authorities, ground handlers, airports, and GDS providers. 2. http://www.edifly.com/ for details on the ‘EDIfly’ technology, how customers have reaped the benefits of EDIfly, and how the decrease in cost supports latest business strategies.